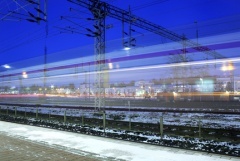 The ERADIS database shall ensure that the information relevant to the safety and interoperability of the railways in the Member States is accessible and transparent to all interested parties and stakeholders in the railway, in accordance with the Directive (EU) 2016/798, the Directive (EU) 2016/797 and the Regulation (EU) 2016/796. ERADIS shall not be used as operational database, but for information purpose only. Link to national rules database NOTIF-IT. All data submitted to ERADIS is public and accessible without user credentials. The user account in ERADIS is needed only for data submission by the appropriate authorities. If you need the user account click here: Request User Account By requesting user account you confirm that you will submit relevant documents to ERADIS.